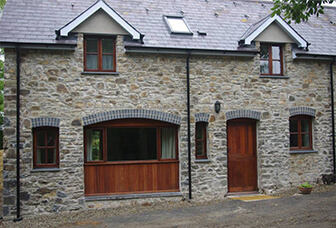 Llainwen Cottages near New Quay is located on a smallholding in peaceful countryside only a short distance from the beautiful coastline of Cardigan Bay in West Wales. Just three miles away, New Quay offers safe sandy Blue Flag beaches, a picturesque harbour and the chance to see bottlenose dolphins, porpoises and Atlantic grey seals. A similar distance away is the secluded 18th Century smugglers cove of Cwmtydu. Walk the coastal path from Cwmtydu to New Quay to enjoy spectacular views with an abundance of wildlife. 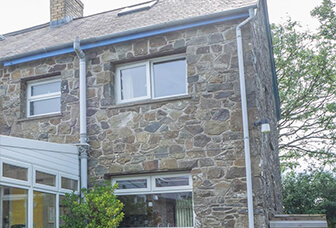 A short drive takes you to numerous other beautiful coves including Tresaith, Penbryn and Llangrannog with the lovely harbour town of Aberaeron only eight miles away. Aberystwyth, Carmarthen and Cardigan are all within a one hour drive. I am pleased to announce that Rainbow Cottage now has a hot tub in its garden. You can sit in the tub and listen to the birds singing and watch them in the trees; or simply enjoy a lovely sunset. Why not give it a try?